Some of the Geographical Information System services that we can offer. Contact us today for more information. Incorporating survey and other data into the geographical information system to underpin spatial and other analysis. Ensuring spatial data from different data sets within the one GIS is consistent and linked correctly. Analysis of data to answer specific spatial and other questions posed by clients e.g. show me where there is low density residential zoned vacant land sloping at less than 15% in the Nambour area. In the past, property and other boundaries were digitised by State Government to form a digital cadastre (map of property boundaries). Digitising comes with inherent spatial errors that are dependent on the scale and the quality of the information being digitised. Whilst this was sufficient for administrative purposes, it is not sufficient for detailed spatial analysis and design. CadCon has undertaken numerous projects to rigorously enter dimension information for individual parcels of land and then join this information into an accurate, homogeneous data set. The process has applicability for any large scale construction projects including mining and services infrastructure (e.g. water mains etc.). 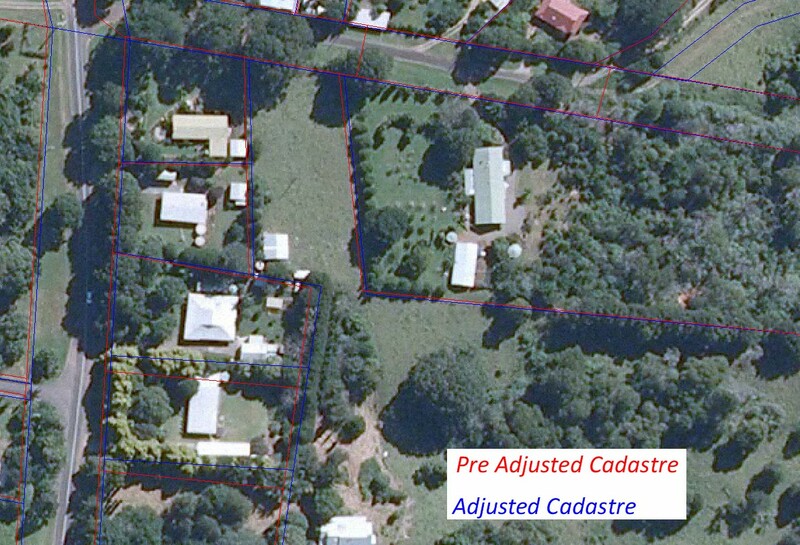 CadCon Surveying and Town Planning Sunshine Coast, are experts in the area of spatially accurate digital cadastres for Local Governments and utility providers. CadCon have processed in excess of 100,000 parcels for five Local Governments throughout Queensland to accuracies of >0.1m in urban areas and >0.5m in rural areas. CadCon Surveying and Town Planning also provide distortion modelling, data cleansing, matching and integrity checking to ensure data sets are administratively and spatially accurate enabling maximum benefits to be obtained from Spatial Information Systems.